A second side event on extractive industries in the Democratic Republic of the Congo (DRC) was held on 29 April 2014 at Palais de Nations in conjunction with the 2nd Universal Periodic Review (UPR) of the DRC. 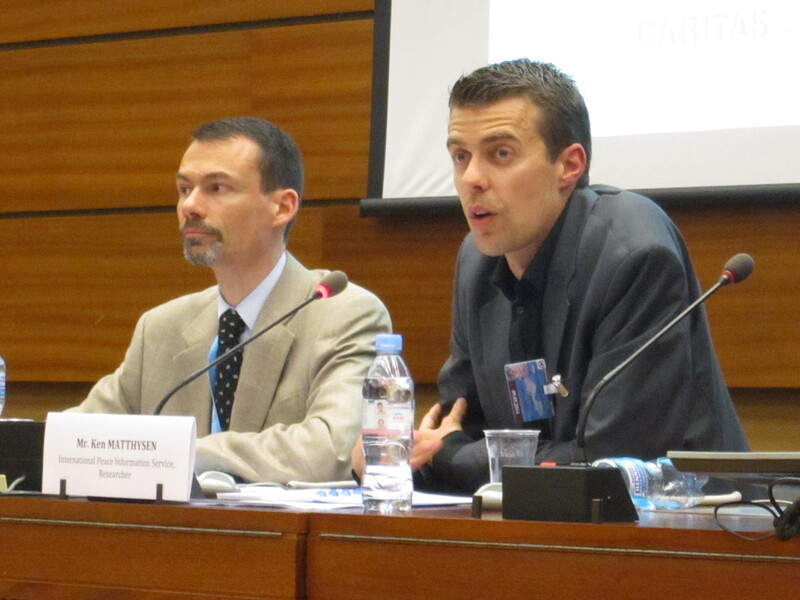 The side event followed up on previous recommendations and discussions from the 21 March 2014 side event, also titled, “DRC: Breaking the Links between Natural Resources and Conflict.” CCIG, EurAc and Franciscans International organized the event in collaboration with Caritas Genève, Fastenopfer and FH Switzerland. Though there was still progress to be made in breaking the links between extractive industries and conflict in the eastern DRC, the participation in the side event and attendance of the representative of the DRC proved promising for concrete progress to be made in the DRC and in the Great Lakes region as a whole. In the 2nd UPR of the DRC, HE Ms. Mumba Matipa Wivine, the Minister of Justice and Human Rights and Head of the national delegation of DRC discussed several government initiatives taken to work towards peace and improvement of human rights as well as the legislative progress towards equal protection of women’s rights, particularly socioeconomic rights, which are the hardest hit in the cycle of violence. During the interactive dialogue, several States addressed structural changes to address judicial and electoral deficits. Recommendations were largely to strengthen commitment towards women’s rights (including sexual violence against women and female genital mutilation) and children’s rights through legislative and constitutional reforms. Though no specific recommendations were made regarding illegal mining as such, Australia and Japan raised the issue of working conditions for children in extractive industries. 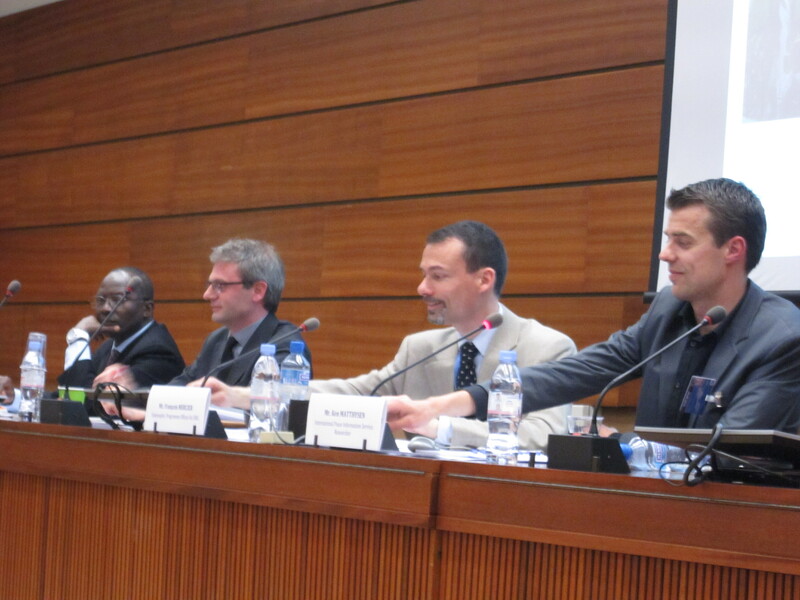 Shortly after the UPR session was concluded, the side event took place in order to provide a first assessment of the UPR of DRC. 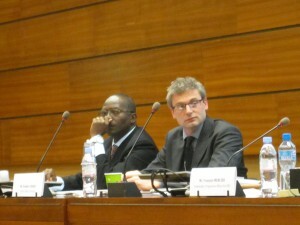 The moderator, François Mercier (Programme officer for DRC – Fastenopfer), introduced the topic focusing on the lack of understanding between the formal and informal sector and emphasizing a need for the DRC government and the international community to break the cycle of conflict and minerals. The first panelist, Ken Matthysen (Researcher – International Peace Information Service) observed that often industrial mining is proposed as a solution or alternative to artisanal mining in the areas where illegal artisanal mining is taking place. Mr Matthysen challenged this notion, stating that this would be ineffective as artisanal mining is a significant source of employment in the eastern part of the country. Instead of replacing it with industrial mining, which also comes with its own challenges, artisanal mining would be better regulated through formalization—this could benefit work towards the environment and contribute to eradicate child labor and illegal mining. A key theme in his presentation was improving structural support of mining and local state agents to ensure accountability and transparency. Suggestions to do so included revision of the mining code to better implement through increased incentivisation. Additionally, capacity of local state agents and military need to be supported and properly funded in order to see effective implementation and reduce corruption, which often leads to further exploitation of illegal mining sites. Mr. Henri Muhiya (The Secretary General of the Episcopal Commission on Natural Resources, DRC) was the second panelist to speak and focused on the military and armed groups within the region contributing to the violence in the eastern DRC. Mr. Muhiya discussed how the solution to the problem of domestic and foreign armed groups in the region and in the country lies in vertical support from both citizens, local and national government and neighboring countries. Regarding artisanal mining, Mr. Muhiya stressed how it can address temporary economic problems for survival in the area but cannot solve long-term development problems, such as poor living conditions and lack of economic opportunities that lead to people joining armed groups. These long term issues would require both working towards eliminating armed groups’ activities and supporting more sustainable and responsible extractive industries in the DRC as well as regionally. Finally, Mr Muhiya asserted that the core issue in DRC is a matter of sincerity and commitment politically and economically on a regional and international level to better regulate and decrease violence for initiatives to be successful. Frédéric Triest, the Deputy Executive Secretary of EurAc, gave an overview of the conflict and the initiatives taken at the European level in order to improve transparency and accountability amongst the multinational companies involved with extractive industries in the DRC and Great Lakes Region. Mr. Triest highlighted that a responsibility of EU is to protect human rights and protect peace and security in the region. He continued, saying that the EU’s legal obligation to have coherent economic policies which must be consistent with peacekeeping and development policies and that multinationals need to comply with human rights. EurAc is currently working with European companies and organizations that sell minerals from region in order to improve due diligence. Though extractive industries transparency has increased, Mr. Triest noted, there is still a great deal to be improved. Following panelists’ presentations, the representative of DRC, Mr. Sébastien Mutomb Mujing (Minister Counsellor, Chargé d’affaires a.i.) took the floor to bring also the voice of the government in the debate. He explained the difficulties that DRC is still facing in terms of control of extractive activities. Such difficulties are further exacerbated by the armed conflict still afflicting the country. He also mentioned the international interferences from other countries that still occur and clearly spoke of “criminal hypocrisy of the international community” while referring to the situation in DRC. However, despite these obstacles, Mr. Mutomb Mujing stressed the progress made by the government in ensuring control on mining and extractive industries. Main measures undertaken consist in the establishment of a regional certificate starting from January 2014; the implementation of the mining code; and major efforts to re-establish control on the whole territory of the State through the eradication of armed groups. 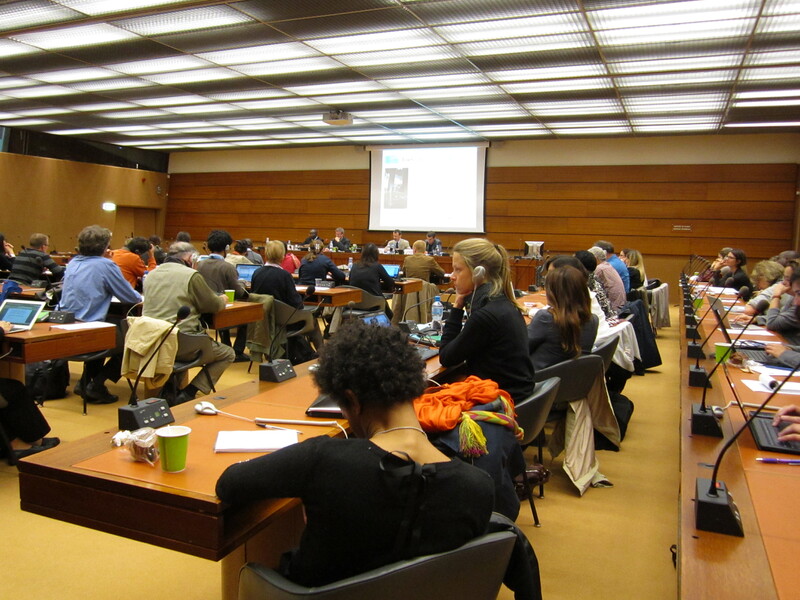 The side event was the third event related to extractive industries that CCIG has helped organize. 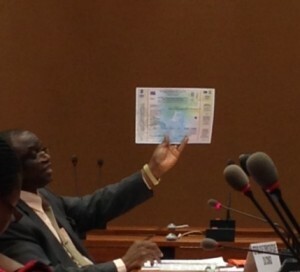 No Comments to "On the occasion of the Universal Periodic Review of DRC: Side Event on Extractive Industries"